In 2006, I was employed as a consultant by National Historic Ships UK (NHS-UK) – the official voice for historic vessels in the UK. Initially, I worked with them to update the National Register of Historic Vessels (NRHV) – a database of over 1,200 historic vessels which can be seen online at www.nationalhistoricships.org.uk. From July 2007 to February 2008 I was commissioned by NHS-UK to undertake an Infrastructure Audit of all the skills and facilities available for the repair and maintenance of historic vessels in the UK. This project was directly in response to comments from owners of craft on the NRHV, who had experienced increasing difficulty in maintaining their historic ships in a world where old techniques and skills are dying out without the commercial demand for them. Since 2009, I have worked as project manager for NHS-UK undertaking policy and casework for them. 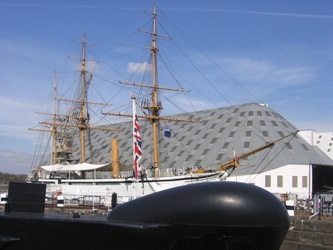 Some of the projects I have been involved with include: Keeping History Afloat; the Shipshape East Anglia (SEA) project; the Shipshape Heritage Training Partnership (SHTP) Project and the War & the Sea project. In March 2017 I was appointed Director of NHS-UK and look forward to overseeing the work of the organisation in the years to come.